The app is similar to an Amber Alert, but for pets. It enables pet owners and residents to help each other find lost pets quickly, even if they don’t know each other. If you ask people how important their pets are to them, there’s a good chance they would tell you they are like a member of the family. So imagine losing your pet and not having any idea where it is. Contacting the police and local animal shelters would be the first step to try to locate it, but the response might not be as quick as one would hope. A similar situation happened to Cory Donovan. While his dogs were running around in the backyard of his Haddon Heights home, a gate was left open and his dogs got out. Shortly after the distressing situation with his dogs, Donovan created FurAlert — a free app you can download on your iPhone or Android. 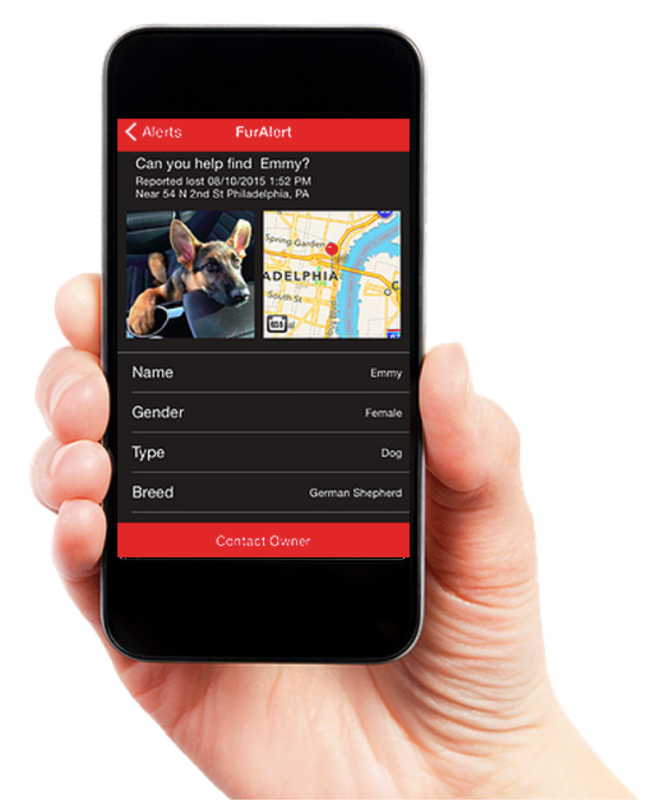 FurAlert enables pet owners and residents to help each other quickly in an emergency, even if they don’t know each other. Donovan said it’s all about proximity. Donovan said the first few minutes of a pet getting loose are the most crucial. Donovan launched the app in January, and Berlin Borough recently introduced it in October in hopes of enhancing the police response for families getting their pets back more quickly and putting less stress on the police department and local animal shelters. Mayor Jim Bilella said in some situations, the app could potentially help people bypass calling the police department when their pet goes missing. Police Chief Mike Miller embraced the idea as something that could help the community and the police department. He said the app is downloaded on his supervisor’s phone, and other police officers are interested in the app because they are pet owners as well. Donovan said FurAlert is in all 50 states and urges every pet owner to download the app.